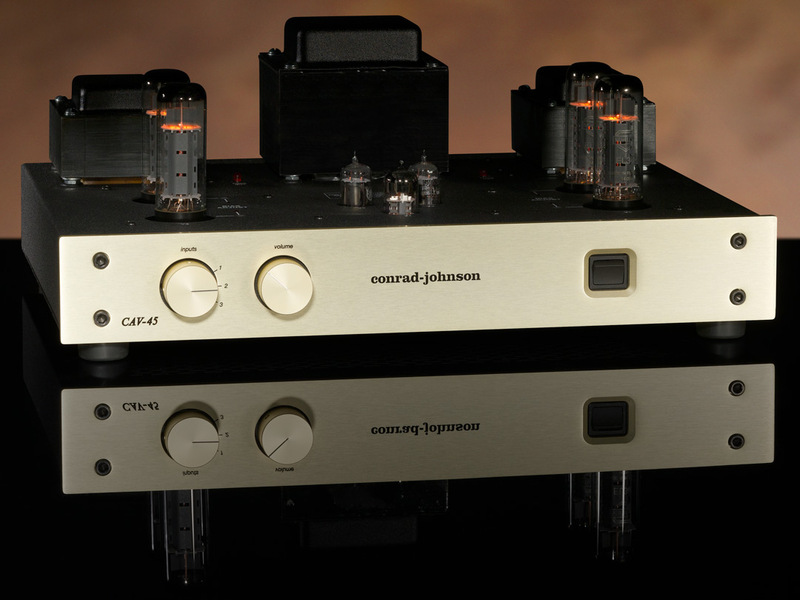 We are pleased to announce the new conrad-johnson CAV45-S2 control amplifier, designed to satisfy the needs of those seeking a high-quality vacuum-tube integrated amplifier. Unlike a typical integrated amplifier, a control amplifier eliminates the preamplifier stage altogether, thereby eliminating its inherent distortions, at the same time preserving the integrated amplifier’s performance advantage of avoiding interconnect cables between control section and power amplifier as well as the cost advantage of consolidating these functions in a single chassis. The CAV45-S2 employs a pair of classic EL34s in each channel to produce 45 Watts per channel. As with all conrad-johnson tube amplifiers, output tube biasing is simplified by the use of our built-in bias circuit. The CAV45-S2 accepts three line-level inputs. Exceptional parts quality is the rule at conrad-johnson, and to this, the CAV-45 is no exception. The CAV45-S2 features larger value electrolytic capacitors in the unregulated power supply, yielding improved bass response and lower noise floor. The binding posts are billet brass, rhodium over silver plate, with billet brass, gold plate nut. The CAV-45-S2 is available now through your conrad-johnson dealer.